It doesn’t matter if you’re a neo-confederate or a creationist, a Texas stalwart or a West Virginia hiller. If you want your textbook conspiracy to succeed, you only need to remember two simple rules. This week the kerfuffle over John Kelly’s Lost-Cause-flavored Civil War comments brought the textbook question back into the news. As historian Arica Coleman reminds us, a for-real conspiracy of neo-confederates plotted and schemed to make sure neo-confederate ideas dominated history textbooks. How did they do it? Whitewashing the past, UDC style. The neo-confederate textbook plot is something historians have known about for a long while. In Race & Reunion, David Blight detailed the battle over public memory of the Civil War, a battle largely won by neo-confederates. In Whose America?, Jon Zimmerman looked at the struggle over textbooks and the battle to teach children a culture-war flavored vision of American history. As Professor Coleman retells the tale, schemers like Mildred Rutherford of the United Daughters of the Confederacy worried that schoolchildren were learning to blame the confederacy for the Civil War. They were learning that the war was caused by a ruthless determination to maintain the slave system in the South. They were learning that Confederate heroes were not always heroes after all. In other words, they were learning a reasonably accurate story about the war. Rutherford and her allies wanted to put a stop to it. To a large degree, Rutherford’s tireless activism worked. She applied pressure on textbook publishers to whitewash the story of secession and the connection between confederacy and slavery. And textbook publishers often complied. The lingering influence of Rutherford’s ideas about history—what I’ve called the “eulogy” approach to understanding the Civil War and Reconstruction—tells us something about the way culture-war groups can and can’t police the intellectual goings-on in America’s schools. If conspirators can promise sales, they’ll win. If they can’t avoid controversy, they’ll lose. As I recount in my history of educational conservatism, this pattern repeated itself over and over again in the twentieth century. When activists went against those two simple rules, their schemes failed. When they remembered them, the conspiracies worked. Consider the example of Harold Rugg. Rugg was a progressive scholar who hoped to reshape American ideas about capitalism and democracy. He hoped his popular textbook series would cause kids to rethink the simplistic, jingoistic patriotism that they might have imbibed from their families and communities. With his allies and colleagues at Teachers College, Columbia University, Rugg really did scheme and conspire to use his textbooks to push America in a leftward direction. The books were extremely popular, until the American Legion accused them of subversion in the WWII years. At the first whiff of controversy, school districts yanked the books. Sales plummeted. Rugg was flummoxed. took a strong stand for pluralism and multicultural expression that went far beyond wooing of minorities; we found that a feeling for folklore, a savoring of different styles, a respect for the whole human range made up want to set forth like a feast the varieties of reading matter. Reading these multicultural tales, Moffett hoped, would transform classrooms and lives. Moffett’s dreams were shattered when conservative protesters in West Virginia labeled the new books controversial. In Kanawha County, administrators dithered and ultimately put the eight most controversial volumes under lock and key. How to scare a publisher. Last but not least, don’t forget the culture-war successes of Mel and Norma Gabler. To a degree that surprised textbook bigwigs, this Texas couple managed to influence book purchases by telling politicians that certain titles were politically and religiously offensive. It didn’t take much. In the 1960s, Norma began attending public hearings of the state textbook committee. She and Mel prepared lists of criticisms for books they considered leftist. The committee listened and so did textbook publishers. Publishers soon asked the Gablers for approval for new titles. A tiny amount of pressure, judiciously applied, allowed the Gablers to move textbooks in conservative directions. Why was their influence so profound? Simple. Textbook publishers follow two rules. Any whiff of controversy is anathema. They don’t care about evolution, or General Lee, or socialism. All they want is sales. Why is this so hard to get through our thick skulls? American schooling is not in the hands of progressive teachers and ed-school professors like me. It just isn’t. If we needed any more proof of it, take a look at the College Board’s decision to change its framework for the Advanced Placement US History course. As has always been the case, conservative complaints this time around have been about the implications and tone of classroom materials. My hunch is that many people wouldn’t see what the big deal was about. 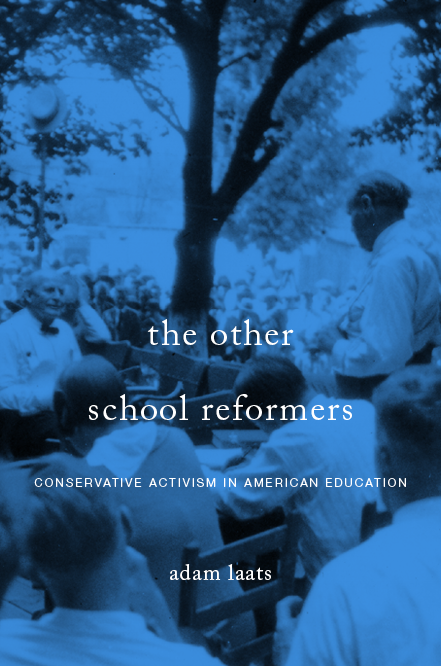 Throughout the twentieth century, as I argued in my last book, American conservatives battled—and won—time and time again to control textbooks. Any whiff of progressive ideas was snuffed out before it could become the norm in American classrooms. A set of progressive social-studies textbooks in the 1930s quickly became libri non grata after conservatives mobilized against it. In the 1970s, another set of progressive textbooks sparked a school boycott in West Virginia that caused a future secretary of education to speak out against progressive-type textbooks. Now, according to an article in the Washington Post, the College Board has revised its framework for its AP US History class after ferocious conservative complaint. As we’ve discussed in these pages, conservative intellectuals and activists pushed hard to win this prize. But here’s the kicker: I bet most casual readers of the new framework wouldn’t notice the differences. Now as in the past, the arguments are generally about tone and implication, rather than large-scale differences in content. In the 1930s, conservative critics of Harold Rugg’s progressive textbooks admitted that most readers probably wouldn’t see the problem. Leading conservative critic Bertie Forbes called the Rugg books “subtly written” so that only an expert could notice the anti-American “insidious implication.” Another anti-Rugg leader warned that Rugg’s books were “very subtle,” not obviously anti-American, but packed with “weasel words” meant to subvert American values. During the 1970s fight over textbooks, conservatives similarly admitted that a regular patriotic American reader might not see the problem at first glance. But as one conservative leader told an interviewer, the books were all bad, since they had been written with “the attitudes of evolution and all that.” Another conservative admitted that he did not even feel a need to read the actual textbooks. “You don’t have to read the textbooks,” he wrote. If you’ve read anything that the radicals have been putting out in the last few years, that was what was in the textbooks. Every time, conservatives have warned, it takes an expert eye to detect the problem with sneaky progressive textbooks. Is organized around such abstractions as “identity,” “peopling,” “work, exchange, and technology,” and “human geography” while downplaying essential subjects, such as the sources, meaning, and development of America’s ideals and political institutions, notably the Constitution. Elections, wars, diplomacy, inventions, discoveries—all these formerly central subjects tend to dissolve into the vagaries of identity-group conflict. The new framework scrubs away all traces of what used to be the chief glory of historical writing—vivid and compelling narrative—and reduces history to a bloodless interplay of abstract and impersonal forces. Gone is the idea that history should provide a fund of compelling stories about exemplary people and events. No longer will students hear about America as a dynamic and exemplary nation, flawed in many respects, but whose citizens have striven through the years toward the more perfect realization of its professed ideals. The new version of the test will effectively marginalize important ways of teaching about the American past, and force American high schools to teach U.S. history from a perspective that self-consciously seeks to de-center American history and subordinate it to a global and heavily social-scientific perspective. The problem is not that the un-revised new framework didn’t teach US History. The problem, according to conservative thinkers, is that it taught history with a certain attitude, a certain approach. Is the new framework more conservative? Leading intellectuals seem to think so. Take the ILYBYGTH challenge: Read the revised framework for yourself. Does it seem “conservative” to you? Where? How? Can you find the differences in tone and approach that conservatives demanded? As Natalia Mehlman Petrzela has argued in these pages recently, a yoga program in Encinitas public schools has raised the ire of some religious conservatives. The story has subsequently been picked up by the New York Times and National Public Radio. As Professor Mehlman Petrzela pointed out in her article, such fears of yoga as religious indoctrination are not new among American conservatives. During my research into an earlier generation’s fight over school textbooks, I discovered such complaints as early as 1974. In that year, a school controversy exploded in Kanawha County, West Virginia. As journalists such as Trey Kay and scholars such as Carol Mason have described recently, the bitter fight over new textbooks led to a months-long school boycott and repeated shootings and bombings. In 1974, the beleaguered Kanawha County Board of Education appointed an eighteen-person committee to investigate the accused textbooks. A majority of the committee found the books unobjectionable. But in November, 1974, a minority splinter committee issued a blistering 500-page denunciation of the textbook series. The minority report included specific objectionable passages with comment. Perhaps this posture of surprise is put on only to discredit conservative opponents. After all, if anti-yoga activism seems startling and unexplainable, it might gain fewer political supporters. But at least some of the surprise sounds genuine to me. It seems another good illustration of the ways widespread ignorance of the history of conservative educational activism impairs any sort of useful discussion of current educational policy. 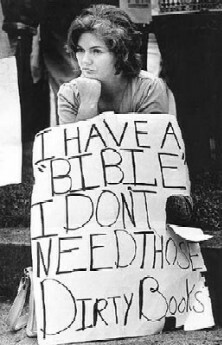 For those who hope to understand Fundamentalist America in the twenty-first century, a good place and time to start would be Kanawha County, West Virginia, 1974. The raucous 1974-1975 school year in this county surrounding Charleston saw a burst of public controversy over the teaching in its public schools. Protesters vilified a set of textbooks adopted by the school district. At its peak, the protest and school boycott included a sympathy strike by the area’s miners and even a spate of gunshot attacks and the bombing of a school-administration building. The fight in Kanawha County, as argued by both protesters and historians, can correctly be seen as the birthplace, or at least the midwife, of an emerging populist conservative movement. The controversy has attracted its share of recent attention from scholars such as Carol Mason and journalists such as Trey Kay. Thanks to the energetic activist Karl Priest, we now also have an account of the controversy written from a prominent member of the movement itself. Priest’s 2010 book Protester Voices offers a view from inside the textbook protest movement. Priest’s story is unabashedly partisan. The tone and style of his book are those of a bare-knuckled culture warrior rather than those of a disinterested academic. Priest has achieved a reputation as one of today’s leading anti-evolution internet brawlers. In addition to his anti-evolution work, Priest is also currently active in Exodus Mandate. This organization promises “to encourage and assist Christian families to leave government schools for the Promised Land of Christian schools or home schooling.” Those who hope to explore the worlds of conservative Christian activism in twenty-first century America will soon run into the work of Karl Priest nearly everywhere they turn. Indeed, when ILYBYGTH first starting imagining how intelligent, educated people could embrace creationism (see, for instance, here, here, here, here, and here), we were accused of being merely a front for Priest. In his 2010 book, Priest takes other writers to task for their anti-protester bias. He dismisses Carol Mason, for example, as someone who “concentrate[s] on the exception to the rule” (37). The protest movement, Priest insists, must not be understood as an irruption of racism or vigilante violence. The protesters themselves cannot fairly be dismissed as “wild-eyed ignoramuses” (xiii). Such accusations, Priest insists, demonstrate the bias of left-leaning scholars more than the lived reality of the protest itself. The leaders of the movement, in Priest’s view, “suffered financial loss. . . . [and] endured snide remarks and mocking.” They did so in order to defend their schools and community against the imposition of taxpayer-funded textbooks that included aggressive racism and sexual depravity. Priest defends the rank and file of this movement, also slandered mercilessly by other writers, as “Norman Rockwell Americans” (63). Priest agrees with other commentators that this textbook controversy provided the launching pad for a new kind of conservative activism. Kanawha County attracted national leaders such as Mel Gabler and Max Rafferty. The fledgling Heritage Foundation sent legal advisers. 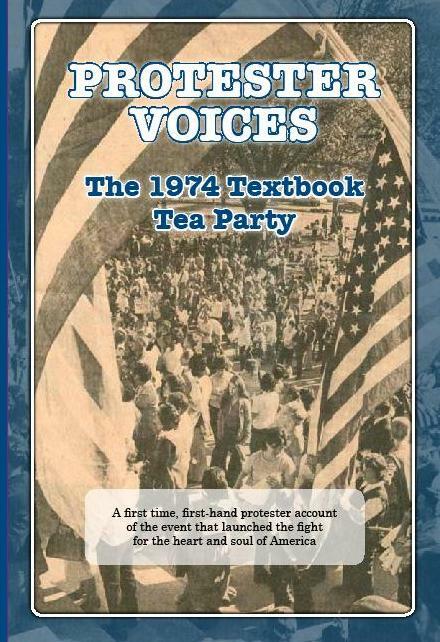 The 1974 protest, Priest claims, heralded the new generation of populist conservatism that continues in today’s Tea Party movement. For anyone hoping to understand Fundamentalist America, this book is an important resource. Not only does Priest’s account offer a staunch defense of the fundamentalist side of one of the most significant controversies of the late twentieth century, he also includes a reflection on the meanings of fundamentalism itself. Though he prefers the term “Bible-believing Christian,” Priest insists that “Being a fundamentalist, contrary to what liberals have propagandized, is nothing to be ashamed of just by the attachment of the term” (3).